Paul R. Rennie, DO, FAAO, of Henderson, Nevada, was chosen to be the president-elect of the American Academy of Osteopathy (AAO) on March 14 during the AAO’s annual Convocation in Orlando, Florida. After spending a year as president-elect, Dr. Rennie will become the 2020-21 president of the AAO, the nation’s largest medical society devoted to fostering neuromusculoskeletal medicine and osteopathic manipulative medicine (NMM/OMM). A graduate of the Des Moines College of Osteopathic Medicine in Iowa, Dr. Rennie has chaired the Department of Osteopathic Manipulative Medicine at the Touro University Nevada College of Osteopathic Medicine (TUNCOM) in Henderson for 11 years. He is board certified in NMM/OMM and in osteopathic family medicine. Dr. Rennie has dedicated himself to preserving the ideals of osteopathic medicine, and he is very active in the profession nationally. He previously served on the AAO’s Board of Governors and Board of Trustees, and for more than 16 years, he has worked with the Educational Council on Osteopathic Principles, a national collaboration dedicated to developing curriculum for osteopathic principles and practice. He has also served with the National Board of Osteopathic Medical Examiners since 1997, developing assessment services for the osteopathic profession. In addition, he has spent 12 years as a member of the NMM/OMM certifying board, the American Osteopathic Board of Neuromusculoskeletal Medicine. As the OMM department chair at TUNCOM, Dr. Rennie coordinated with faculty to develop a curricular database for the undergraduate OMM program that employs a Regional Anatomic and Methodology Progressive System (RAMPS) approach. 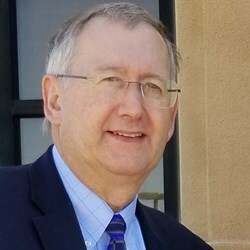 In addition, he is the author of Counterstrain and Exercise: An Integrated Approach, which outlines a more learnable anatomical approach to the counterstrain methodology, and he is a coauthor of the strain-counterstrain chapter for the second through fourth editions of Foundations of Osteopathic Medicine, the most widely used textbook in the field.